This textbook brings students to the very forefront of the study of the brain and its role in psychological disorders. The new edition matches the latest research from neuroscience to culture-based approaches with riveting human examples, helping your students understand both the scientific foundations and the personal impact of mental illness. 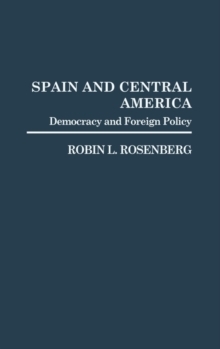 The new edition also brings forward the books distinctive emphasis on the dynamic interplay between the neurological, psychological, and social factors involved in understanding psychological disorders and their treatment. 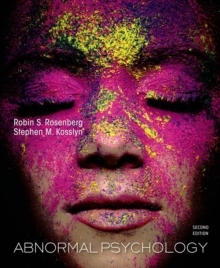 Clinical psychologist, Robin Rosenberg is an expert at using pop culture to examine psychological concepts and renowned neuroscientist Stephen Kosslyn is an accomplished communicator for undergraduate and general audiences. 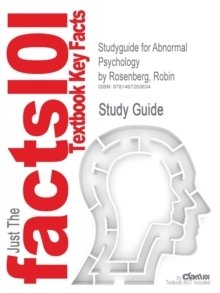 The authors' acclaimed writing styles make this an ideal core textbook for introductory Abnormal Psychology courses. Pages: 672 pages, 672 p.